I've constructed the section by reviewing what I can find online. The thing is - I KNOW I've read excellent reviews by art bloggers in the past about different art materials stores in New York - but I simply can't find them! It's driving me potty! Have people stopped writing reviews of art supplies stores in New York or has Google stopped identifying them? The only ones I've found so far are the Handprint reviews of retailers which include three reviews of stores in NYC. 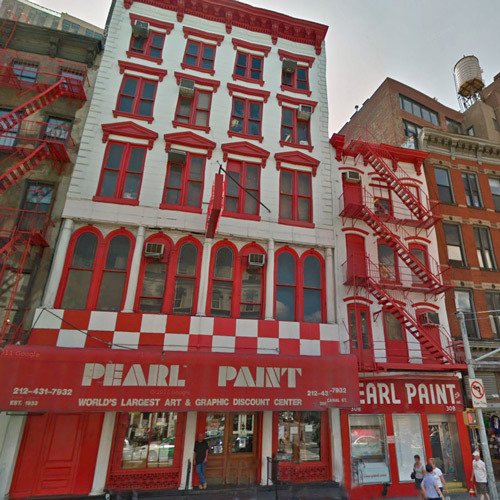 Pearl Paint in Lower Manhattan, between Tribeca, SoHo and Chinatown probably gets the most visitors and certainly gets the most reviews - but it also gets quite a lot of dissatisfied customers. Have you written a review of any of them? If so please leave a comment with the URL of your blog post and I'll link to it or reference it. I'll then add in a poll to the website and more links to reviews of the different recommended stores. This post is about my Annual Poll to determine the best brand of Watercolour Pencil on the market from those available to purchase at the beginning of the year. Once again Faber Castell is the market leader in terms of both market share and the favourite watercolour pencil. The results also indicate that wood pencils are more popular than woodless pencils and that the market for woodless pencils appears to be shrinking over time. This poll was first introduced in 2010 when 144 people voted. 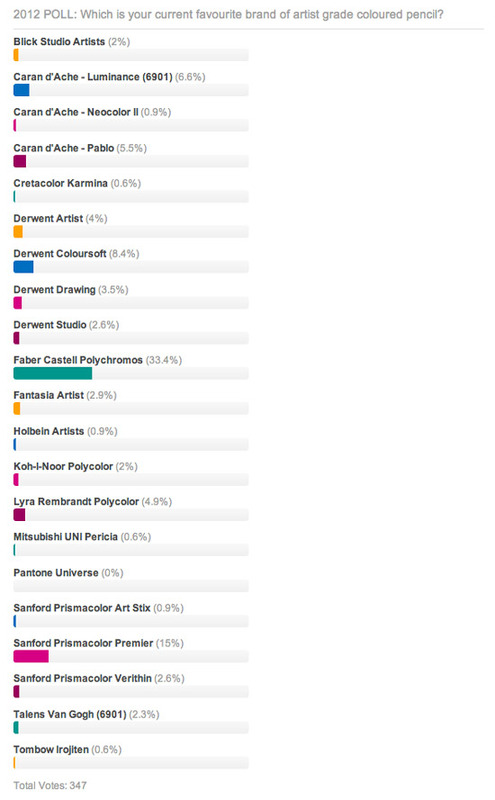 125 people voted in 2011 while only 64 people voted in 2012 on my 2012 POLL: What's your favourite watercolour pencil?. The poll is now closed. Below is a table indicating the actual numbers across all products for the percentage market share - of those people who responded to the poll. It's very clear from this relatively small sample that Caran d'Ache and Derwent's results have reduced while Faber Castell has grown its share of the market. A growing interest in Faber Castell is to my mind entirely consistent with more and more coloured pencil artists becoming aware that the favourite watercolour pencil is the Faber Castell Albrecht Durer. It's way out in front of the rest. I'd always expect growing awareness of what people like and recommend to influence the buying patterns of those trying new media for the first time. I'm minded to ponder on the fact that CPSA banned from use of the Caran d'Ache Neocolor II for their main international exhibition in 2012. To my mind it is to all intents and purposes exactly like other woodless watercolour pencil type media. I have yet to come across a convincing argument as to why this medium is not allowed other than the fact it uses the word 'pastel' wjile others describe it as a crayon - while being neither a soft pastel nor an oil pastel! Could it be a question of language? 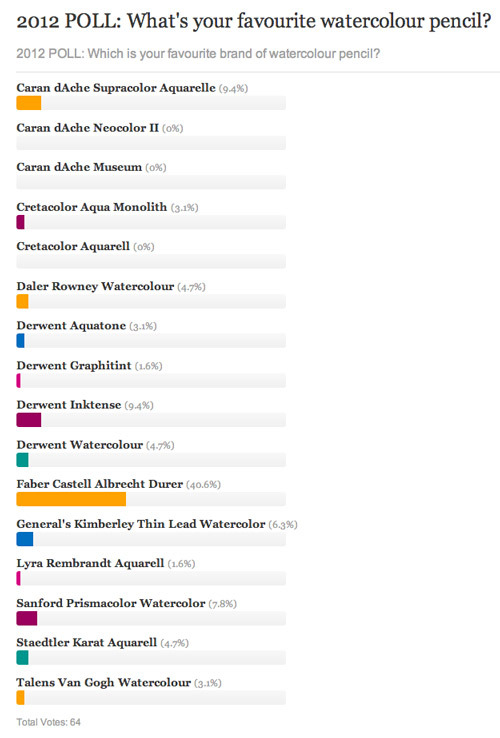 A new poll is now open and you can find it here - 2013 POLL: What's your favourite watercolour pencil? I like using different brands! 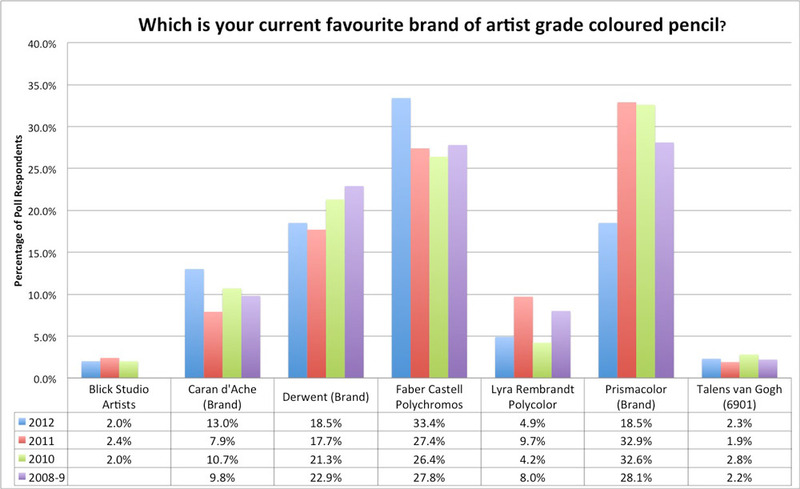 2013 POLL: Which is the best brand of artist grade coloured pencil? 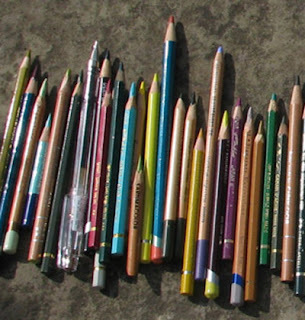 2013 POLL: What's your favourite watercolour pencil? This is a brand new poll - so even if you have voted before in previous years you can vote again. The purpose of having an Annual Opinion Poll is to identify which are the most popular coloured pencils in 2013.
new brands to be reflected in the poll. Don't forget to check all the options before you vote. 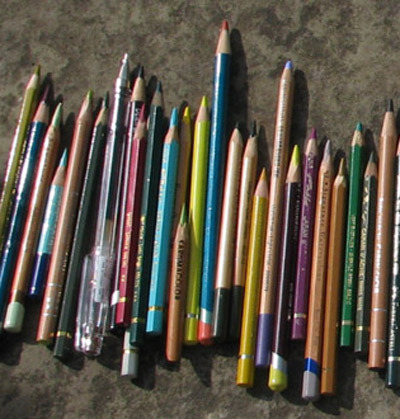 The coloured pencils are listed in alphabetical order. If any of the marketing people from the different pencil manufacturers are reading this and note that their new brands are NOT included please contact me with the date your product is/was made available in the marketplace AND on your website. 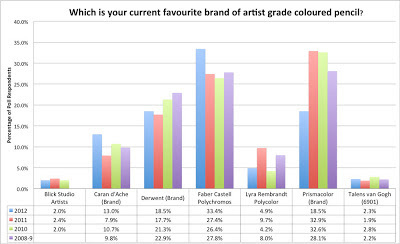 The results of the two polls about your favoured brands of artist grade coloured pencils and watercolour pencil in 2012 will be published tomorrow. The brands listed are all those which were available at the beginning of 2013. Not every brand is included. For example, they exclude those which are most suitable for children/school students rather than fine art. 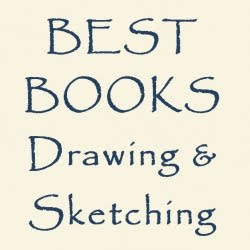 VOTE for your favoured brand of artist grade coloured pencil?